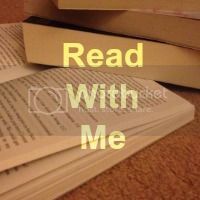 Hey there lovely readers, welcome to this weeks Read With Me. We are now a quarter of the way through the year and I've already managed to read over half of the goodreads target that I set myself. That's over 75 books, does that mean that I'm a tad obssessed?? I read a couple of books last week that stood out for different reasons. Pocketful of Sand by M Leighton is a romance with a difference, I don't want to spoil anything but the twist is that there are two alternate endings to read, you can read one or both, the first makes it a stand alone book and the second leads on to the possibility of a sequel. The second book I'm recommending is Where One Goes by BN Toler. The story has a paranormal element to it but it's written so beautifully that it managed to bring tears to my eyes!! My favourite post that got linked up last week was from In The Playroom, offering a great activity to do with your little ones as well as a brilliant book recommendation. Onto this weeks link up. New to Read With Me? Take a look at what it is all about here. Regular? Get linking, commenting and hopefully displaying my badge.